Blowout Sale! 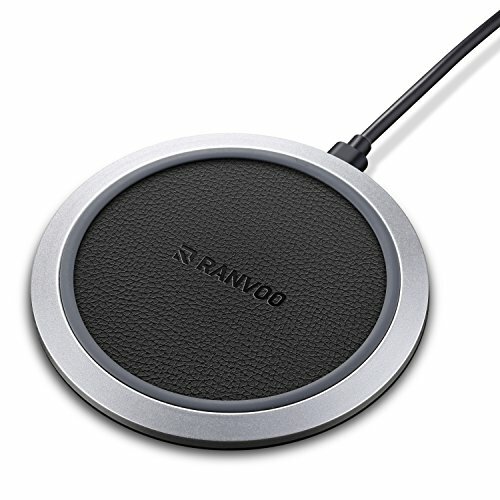 Save 57% on the Wireless Charger, RANVOO Wireless Fast Charging Pad for iPhone X, 8, 8 Plus, Samsung Note 8, Galaxy S9/ S9 Plus/ S8 / S8 Plus / S7 and Other QI Enabled Android Devices (Retail Package) by RANVOO at DJ Luu. MPN: WXC-1. Hurry! Limited time offer. Offer valid only while supplies last. 【UNIVERSAL COMPATIBILITY】Available with iPhone X/ 8/ 8 Plus, Samsung Galaxy Note 8, S9, S9 Plus, S8, S8 Plus, S7, S7 edge, S6, S6 edge, S6 edge Plus, Note 5, Google Nexus 4/5/6 and other QI enabled devices. Never puzzled by Android or MFI cables any more. If you have any questions about this product by RANVOO, contact us by completing and submitting the form below. If you are looking for a specif part number, please include it with your message.